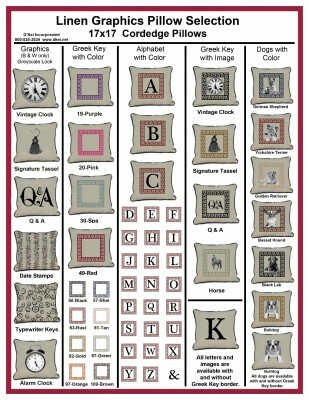 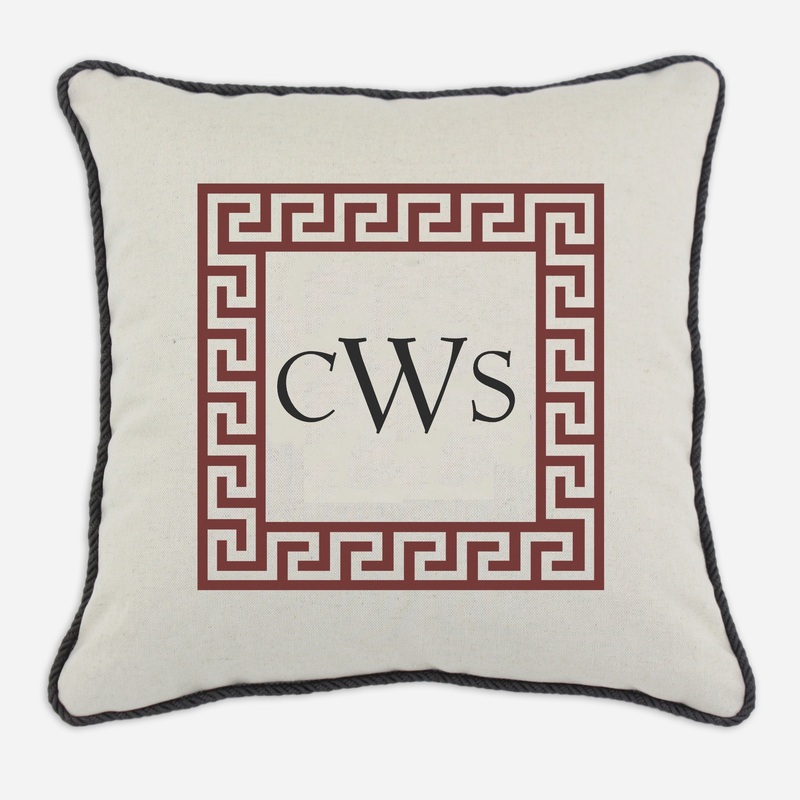 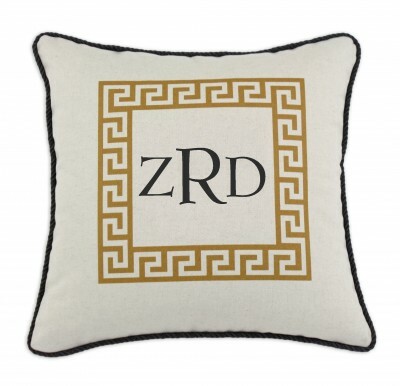 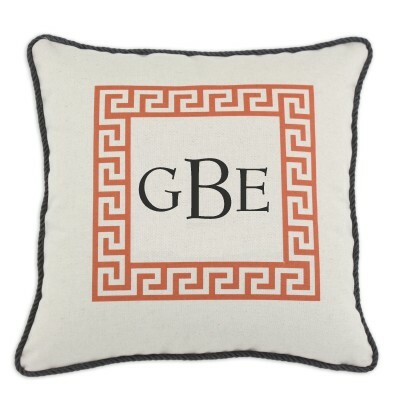 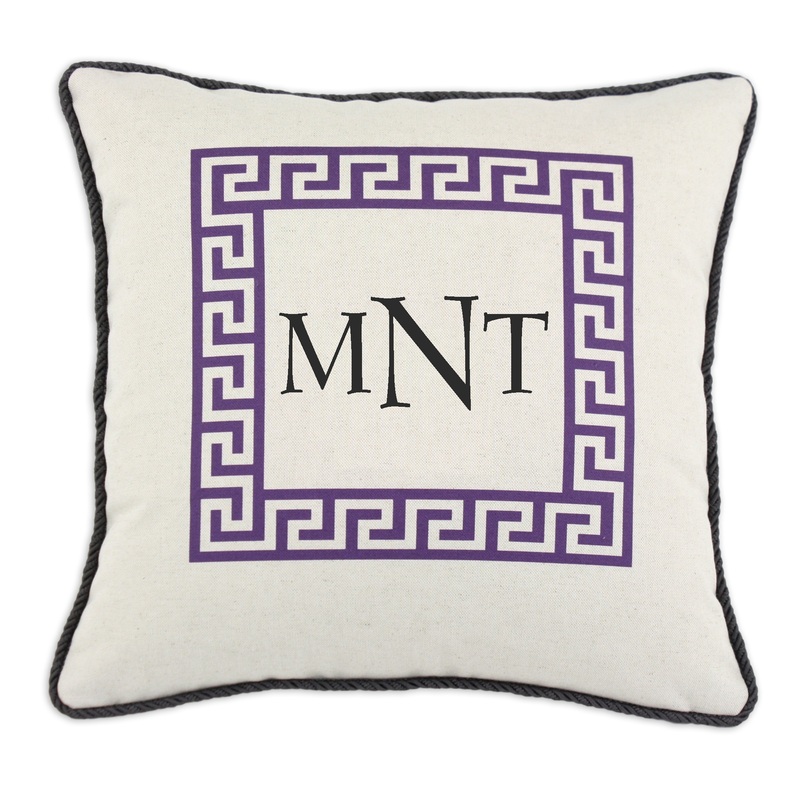 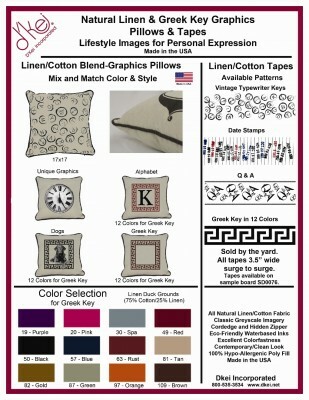 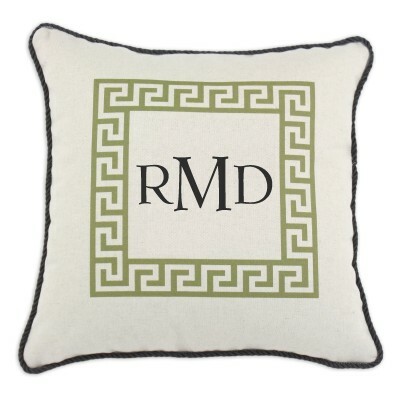 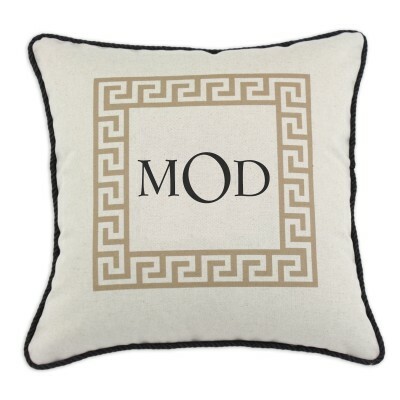 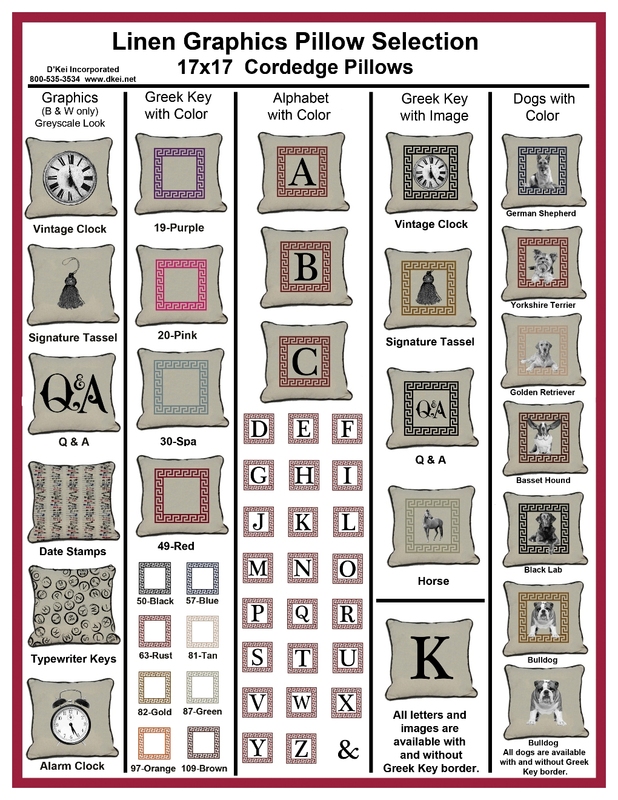 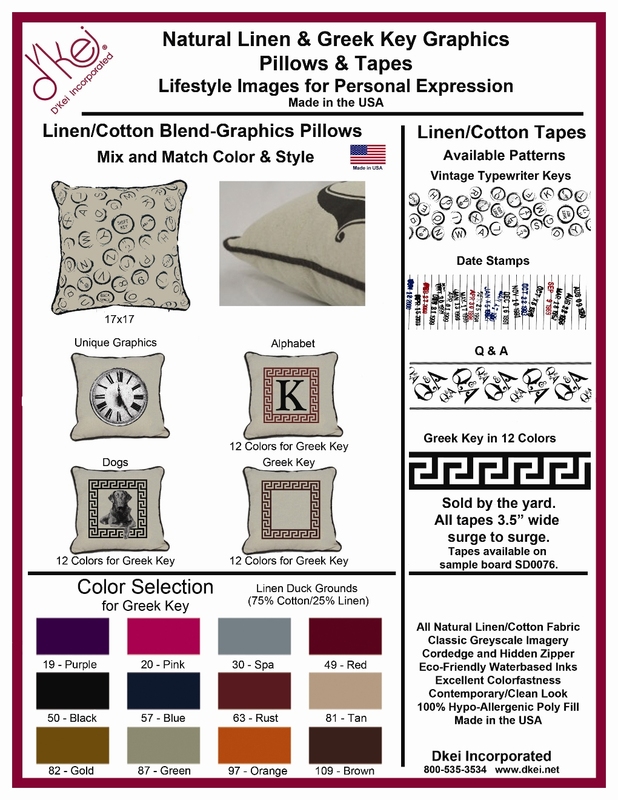 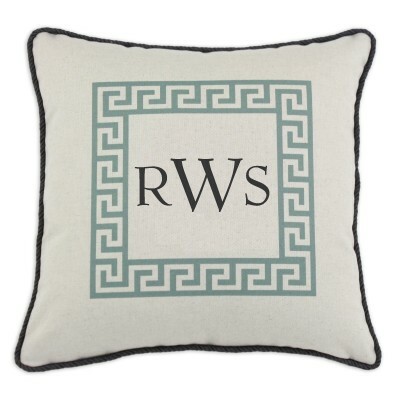 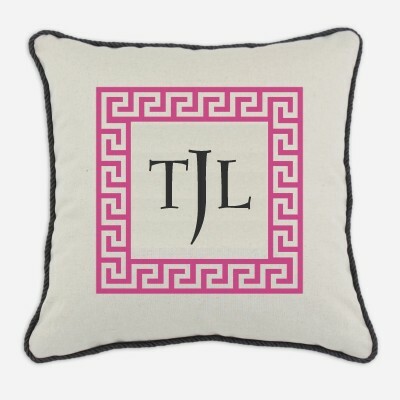 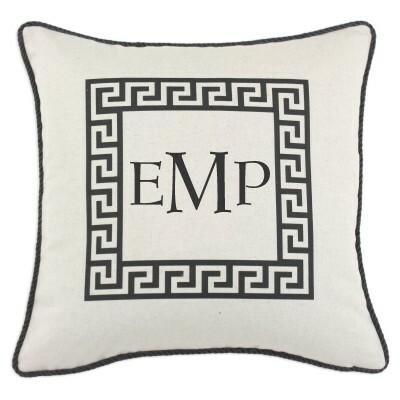 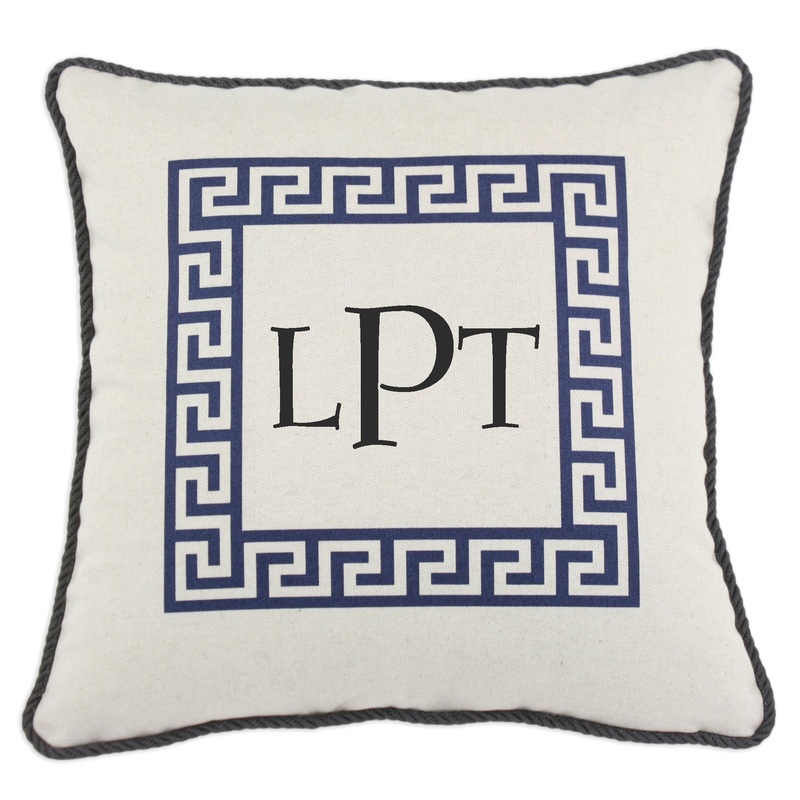 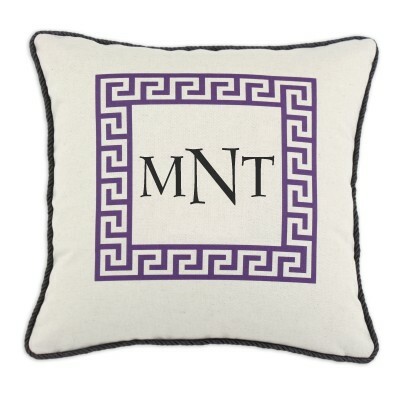 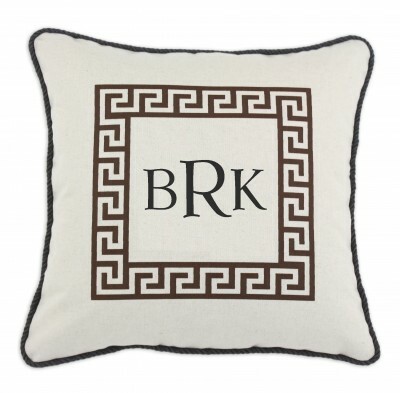 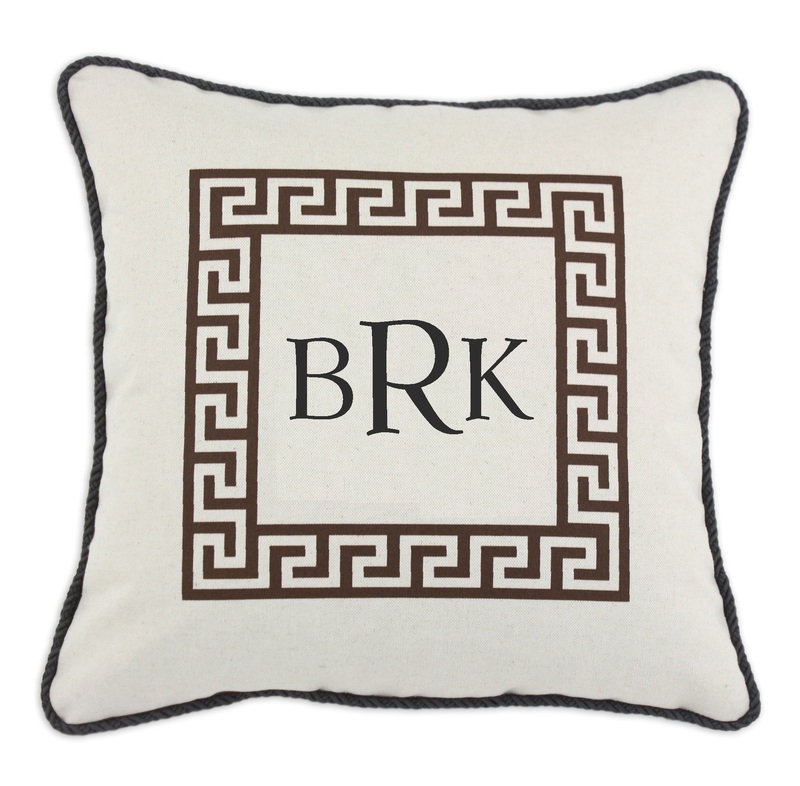 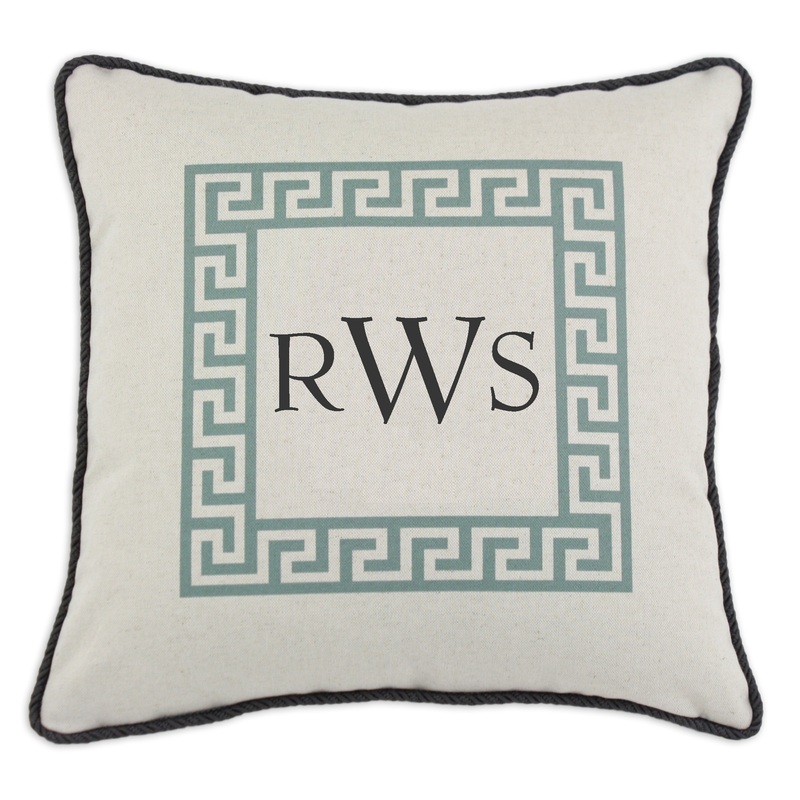 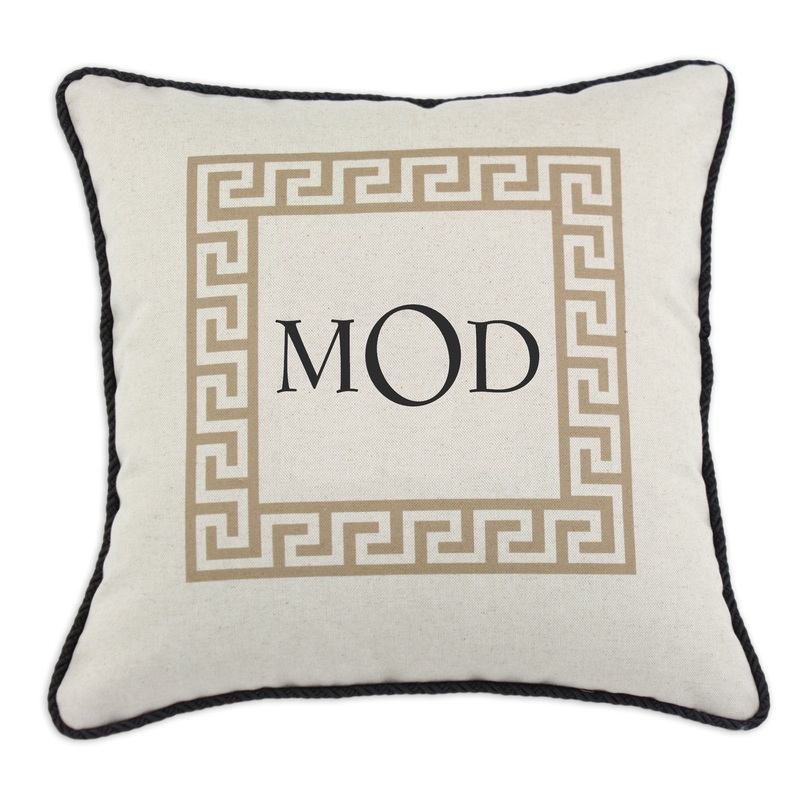 Add a personal accent to any room by selecting a custom 3 letter monogram Greek Key Pillow. 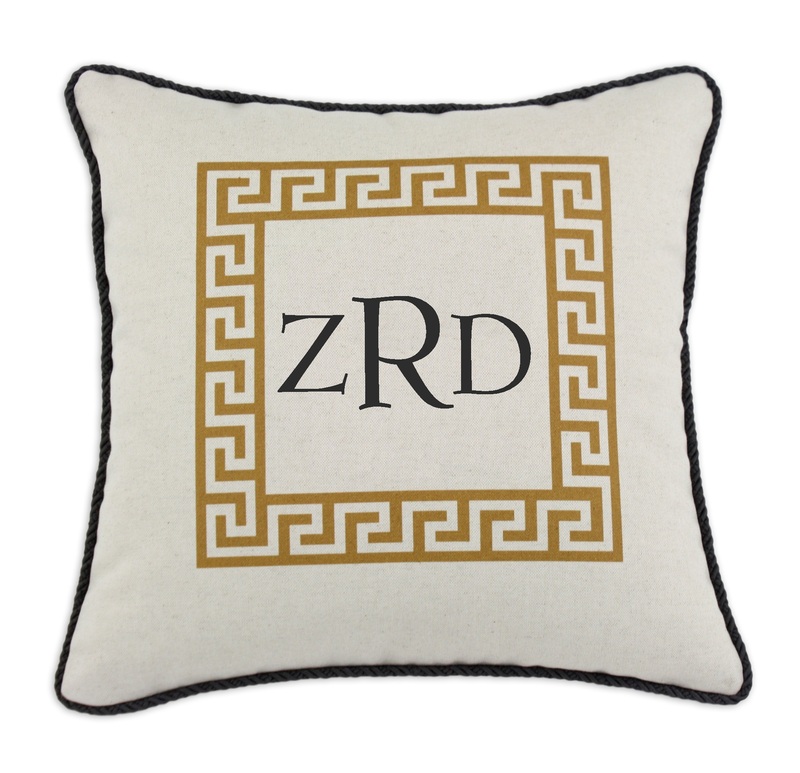 These 3 letter monogram Greek Key pillows are available in 12 different Greek Key colors and are the perfect wedding or anniversary gift, or to represent any individual’s initials. These 3 letter monogram pillows are made in the USA with a zipper closure, finished with D’Kei cordedge, and filled with hypo-allergenic poly fill. 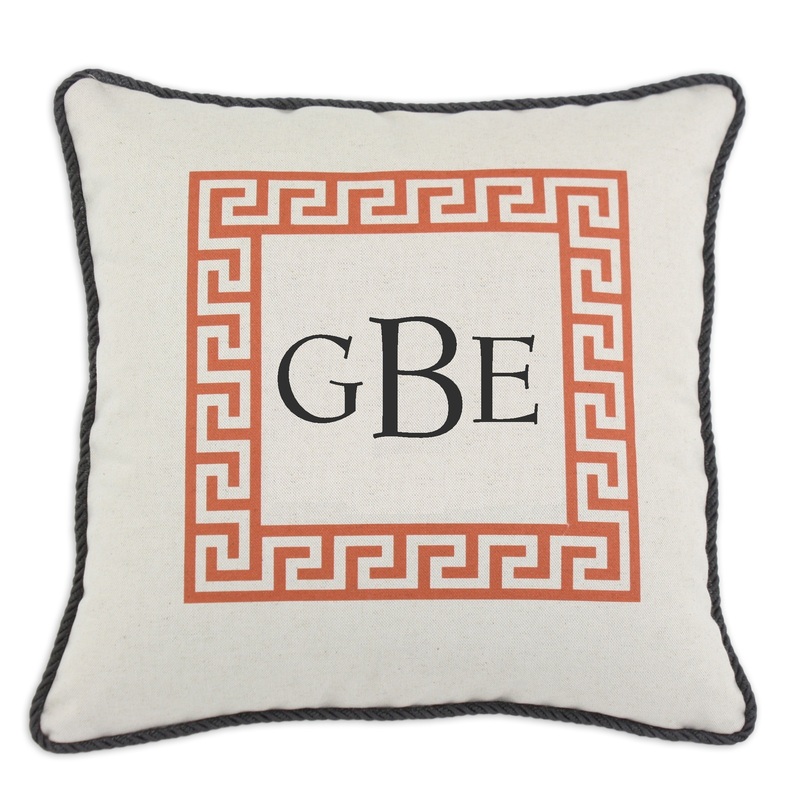 These linen and cotton blend graphics pillows are printed using an eco-friendly print process using water based pigment inks.